“Not a drum was heard, not a funeral note as his corpse to the rampart we hurried.” This stanza from the poem ‘The burial of Sir John Moore,’ as recorded by Charles Wolfe (1791–1823), reminded the Sentinel of the last days of Arnold Cruickshank Esq CBE, as he laid on his rustic bed almost forgotten. Arnold Cruickshank was born in St Pauls, St George on 20 September 1929. 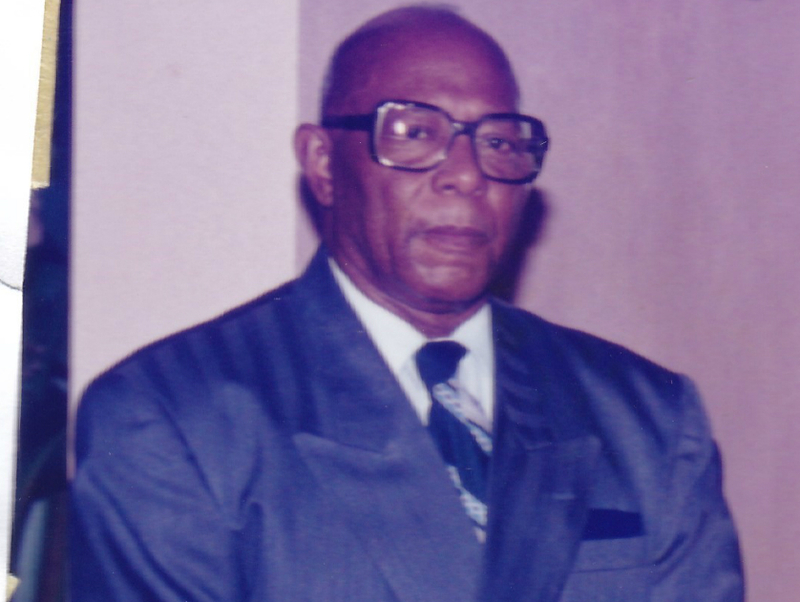 He attended the Wesley Hall primary school, then the Grenada Boys Secondary School (GBSS) under Headmasters G C Grant Esq MA from Trinidad and Dr Wilfred Rankin of Guyana. He passed away on Saturday, 11 November 2017 at the General Hospital. Cruickshank’s first job after graduating from GBSS was at the then Department of Agriculture as a part-time officer in the Cocoa Industry Improvement Scheme, funded by the British Government, where he obtained a scholarship and graduated with a Diploma from the Imperial College of Tropical Agriculture in Trinidad. He then furthered his education by attending Cornell University in the USA and obtained an MSc Agriculture, majoring in Agronomy. Cruickshank’s career included service at the local, regional and international levels – here in Grenada at the Ministry of Agriculture, at the Caribbean Development Bank in Barbados and the Food and Agriculture Organisation (FAO) of the United Nations in Rome, Italy. In 1983/84 after the demise of the 1979-83 revolution, Cruickshank served as a member of the Interim Council of Grenada with responsibility for agriculture, paving the way under the late Sir Nicholas Brathwaite for the restoration of democracy in 1984. Cruickshank also served as Chairman of the Grenada Development Bank in the late 1990s. Cruickshank’s association with the Willie Redhead Foundation dates back to 1998 as an ordinary member. Between the years 2000 – 2012 he served as a member of the Board of Directors and in 2012 he became an Honorary Member. At the 5th Patrimonial Award Ceremony in 2014 Arnold was awarded the Foundation’s Scroll of Honor for his services as a statesman, nation builder, agricultural development expert and a life member of the foundation for his continued interest in the issues related to the conservation and protection of the built heritage of Grenada. “Like stone pillars rooted in buttressing a culture of creative resistance, under the seasoning of time, they eventually totter and take the fall.” Arnold Cruickshank – according to many testimonies, was a man of character, kindness and courage. He was a gentle soul and touched the lives of many. The Willie Redhead Foundation sends sincere condolences to his family, close friends and admirers on the passing of Arnold Cruickshank, and recall that ‘Great minds are like meteors, they glitter and are consumed to enlighten the world.’ May his soul rest in everlasting peace.